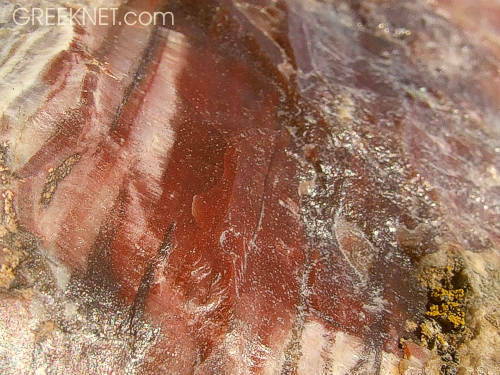 Near the Holy Monastery of Hypsylou and in the area of Eressos, one can find the Petrified Forest of Lesvos (or Lesbos). This natural monument is unique in the whole area of Europe. On the whole Earth, only in Arizona USA a similar forest is situated but that one is quite smaller and of lesser significance. 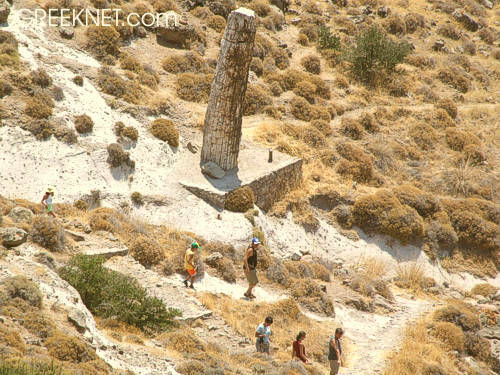 In ancient times the Lesvos area has had many active volcanoes and the creation of this monument is related to their activity. 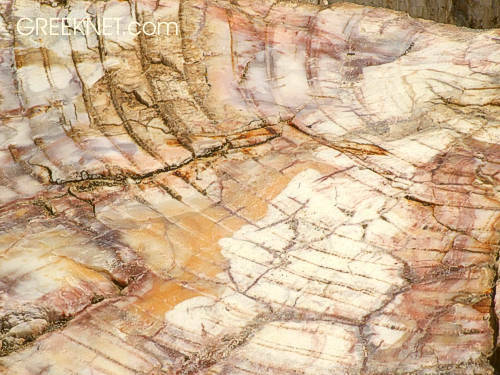 The age of the Petrified Forest is estimated to be around 20.000.000 years. At that time the area was covered with trees like pine trees, beech trees, plane trees, as well as palm trees, sequoias and other species of flora. This flora does not grow here any more, either in the European area, or in the area of the Mediterranean Sea. They nowadays only grow in the subtropical areas. An ancient period of high volcanic activity caused a chain of chemical reactions and the petrifaction of the forest was effected. Today, a limited number of these trees are revealed because of the disintegration of the volcanic material which had been covering them but most of them are still buried into the subsoil. 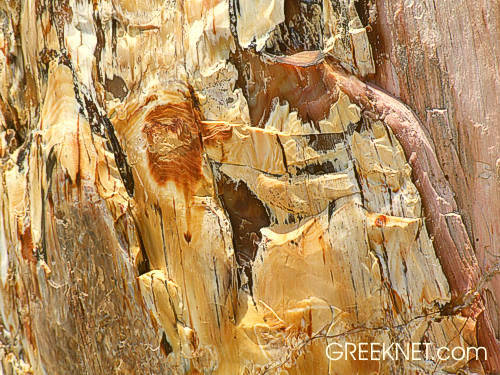 The broad area of the Petrified Forest occupies 15.000 hectares of the western part of Lesvos and has been pronounced by the state as "National Forest". The visiting area is fenced, guarded and offers a unique 2,3 kilometers long stroll among the fossils. The visitor has the chance to admire this rare geological monument and to have a close look at excellently preserved trees which can be standing like they are still alive or look like trunks fallen on the ground. In between he will find pieces of petrified leaves and roots everywhere. No description can accurately be made of the luster of the fossils, their sensational colours, the true grandeur and the wild beauty, but a visit on the site. This visit can take place just following the central road paved with asphalt, from Eressos to Sigri.